Saffron: How much longer, now ? Detective Connis: Too long. Stop asking. Saffron: Ugh, I wish I could just teleport to the eggs, kick some space pirates in the teeth and go home. Detective Urswin: I understand that you are feeling impatient and homesick, Guest Saffron. Wouldn’t anyone be? I have finished my duties for this shift, so perhaps we can pass the time with conversation? Detective Connis: Stop saying that! Detective Urswin’s not a girl! Saffron: What? Then what are you? Detective Urswin: I am Urswin, am I not? Saffron: Yeah… and Urwsin is a girl, right? I mean, you’re definitely not a boy. I can tell. Detective Urswin: No, Guest Saffron, neither is right! Saffron: You can’t just opt out, Urswin! Detective Connis: What kind of crazy world do you come from? Detective Urswin: Please Guest Saffron. Every world has their own prejudices and biases regarding gender, do they not? I, and the majority of my species, simply wish to be excluded from all that. We wish to be judged as ourselves and nothing else. Saffron: But you’re super girly! You’re eyeliner game is unrivaled. And you have double the number of eyes I do! Detective Urswin: No, Guest Saffron! I take pride in my appearance because that’s just who I am, not because it’s “girly”. I don’t like all things girly, nor do I dislike them all. That word, and others like it, they’re not big enough to contain me. Will you be so kind as to respect that? Saffron: Okay Urs, if it will make you happy. But from my experience, being a girl is awesome. Detective Urswin: I respect that. Saffron: And I, Urswin, respect whatever you have going on. I’m super progressive, you know. I’m training a male godparent. And did I tell you about my friend Manfred? Detective Connis: These friends of yours. You sure they didn't maroon you here on purpose? Cadet Caffree: Guest Saffron! I finally found you! If you’re not doing anything could you look at my entire fantasy audio drama collection and rank them by accuracy? Saffron: I have a better idea. How would you like to see real live magic for yourself? Detective Urswin: Guest Saffron! Cadet Caffree is alright, isn’t he? Saffron: I just sent him to hang out with Stan. I figure they balance each other. Now where was I? Oh yeah, I love that everyone is super open-minded in space. You know, I too, have dealt with the small mindedness of others. You probably don’t have this level of bigotry here Urs, but where I’m from, some idiots think that redheads can’t wear pink! Saffron: But I showed them. I shattered that stereotype like I shatter godparenting records. Check out these selfies of me rocking pink. Saffron: AH! I sent you to the other side of the ship, how did you get here so fast? Saffron: Ooops, just got an urgent call from Katticus. He wants me at the helm. The super restricted out-of-bound-for-cadets helm. Cadet Caffree: But I didn’t hear anything. Saffron: It was a private call. Bye! Saffron: Oh wait, Knock knock! Agent Katticus: Unless it’s a matter relevant to the case, GO AWAY. Saffron: Hey Katty, how’s it go- IS THAT STAR CROSSERS? Agent Katticus: Yes. Since you seem to be using this drama series as your knowledge base for navigating our dimension, I thought I should gauge it for accuracy. Agent Katticus: It’s the most ridiculous thing I’ve ever seen in all my lives. Saffron: Is that Duke Edgar? He doesn’t show up until season 3! Katty, you watched 2 whole seasons in one night? Agent Katticus: I CAN'T STOP. Agent Katticus: GET OUT NOW. Saffron: Hey, is this Starbeard’s file? Agent Katticus: Hm? Yes, I’ve been rereading it. Something doesn’t add up. Agent Katticus: Starbeard has been making grabs at other territories recently. We have agreed that Starbeard most likely wants the dragon eggs because of their potential power. Starbeard has not only killed off all his pursuers, but also everyone that remotely looked like a rival. So why would he give away power to another? Saffron: Maybe he didn’t mean to. Maybe he was robbed. No honor among thieves, and stuff. Agent Katticus: I’ve thought of that, but no. I’ve been replaying the recordings of the tracking spell and it looks like Starbeard veered slightly to the point where the egg is now, then resumed his normal course. Saffron: Yeah, I see what you mean. It looks like he was dropping it off. Agent Katticus: (steadily getting more paranoid) A transaction perhaps? Could Starbeard have been low on liquid funds? We did freeze a lot of his assets lately. Or did he owe someone a large debt and gave the egg up as collateral? But who’s in a position to demand repayment of Starbeard? Could it be a trap? Does he have any way of knowing that we’re now able to track him? Saffron: How about we kick butts and ask questions later? Agent Katticus: (panicking) Something’s off. Something’s wrong. Something’s very, very WRONG. Saffron: Remember what I said about chilling and how you need to do more of it? Saffron: Whoa, Katty! You need to get a hold of all yourselves. We have a job to do. This is like, just like in season 1 of Star Crossers. When the enemies of House Borealis kidnapped Princess Aurora and demanded their hostage prince in return. 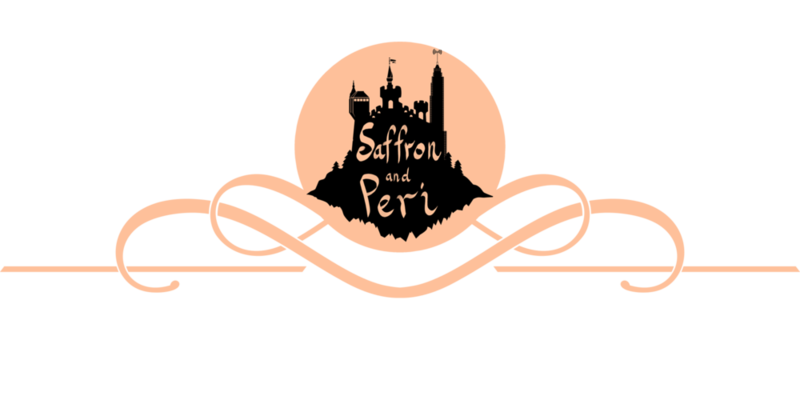 Saffron: And when Sir Horizon knew for a fact that it was a trap, did that stop him from breaking out the hostage prince and rescuing his beloved princess? Agent Katticus: Yes, but there was no way the show was going to kill off a main character. Saffron: Oh yeah? That didn’t stop them from having Duke Edgar assassinate King Hugo with a black hole cannon in season 3. Agent Katticus: I SAID NO SPOILERS! Saffron: Oh come on, everybody saw that one coming! Leckie: Alert. We have arrived at the location of the first egg. Please convene at the dock. Saffron: We’ll fangirl later, Katty. We have pirates to beat up! Saffron: Whoa, Katty, is that your spaceship? That’s one snazzy spaceship. I know I haven’t been around spaceships long but I can tell that is the snazziest of spaceship. Agent Katticus: Guest Saffron, please exit the spaceship. Saffron: Aren’t we going after the egg? Agent Katticus: I am the only one with the qualifications to go on a mission of this caliber. The rest of you will stay here in case backup is needed. Saffron: I’m plenty qualified. I took down an entire card army just before I came here… with help. Saffron: Pshhhtt. Baddies are baddies. Get in, I’m driving. Agent Katticus: NO YOU ARE NOT. Get in the passenger seat NOW. Saffron: Whooo! See you later guys. We’ll be back soon with a dragon egg! Captain Adam: Good luck Agent! Cadet Caffree: Kick pirate booty! Agent Katticus: Stay close behind me Saffron. This is a notorious smuggling port filled with unsavory types that DON’T TOUCH THAT. Saffron: Shush! We’re supposed to be keeping a low profile! The tracking spell points to this seedy looking space tavern. Agent Katticus: (whispers) Over here, quietly. Agent Katticus: This scanner can show us the inside of the establishment. Take a look and point out who has the egg. Saffron: No one here. More left, behind that wall. I think there’s a hidden room back there. Agent Katticus: We’re going to have to go inside then. Saffron: Uh oh Kat, some of these low lives are giving us the stink eye. Any chance they recognize you? Agent Katticus: I know some of these faces from my previous lives, but none of them should be familiar with my new appearance. Most likely they are staring at you. Saffron: Drat, my stunning good looks betray me. Agent Katticus: You’re a species they’ve never seen before. Perhaps if you stop floating. Saffron: And let my shoes touch this grimy floor? I don’t think so! Saffron: Wow, you are a BIG guy. How did you fit in here? The doorway only comes up to your belly button! Tavern Inn Keeper: (slow growls) You don’t belong here. Saffron: HE’S ON TO US! EVASIVE ACTION! Saffron: Oh no you don’t! Saffron: Katty, the dragon egg should be in here! Agent Katticus: This barricade should hold for a while. Now if you could tell me WHAT IN THE WORLDS WERE YOU THINKING? Agent Katticus: WHAT ARE YOU DOING? Saffron: Uh, blasting our way to the secret room? We don’t have time to tap bricks or throw books off the shelf. Now let's go! Agent Katticus: No, stop, this is too easy. Why would anyone leave anything so dangerous and valuable in an unguarded room? Saffron: *Sigh* Because it was really well hidden and nobody knows we have magic tracking on our side. Agent Katticus: Still too easy. I don’t trust this. I don’t trust any of this. Agent Katticus: Don’t misunderstand me, Guest Saffron, I know we must do this, just as Sir Horizon knew he must break into the dungeon knowing full well there was an ambush waiting for him. There is child in that egg and an anxious mother longing for it. I just need a few seconds to think. Agent Katticus: .... There will most likely be an alarm. We’ve attracted enough attention to signal the buyer anyway, but the barricade is solid enough to slow them down… okay. We will step forward together and I will break the case. You will not teleport or do any magic unless you get my signal. If things get too messy, I need you to take the egg and teleport out of here. Saffron: And just leave you down here? Agent Katticus: Tell all the spouses of my previous lives that I’ve loved them very much. Except Oris, who I married 7 months and 2 lifetimes ago. HE KNOWS WHAT HE DID. Saffron: Oooh, what did Oris do? Agent Katticus: I’ll tell you if you follow my orders. Saffron: Deal! Let’s do this! Agent Katticus: That hissing sound, Guest Saffron, is the sound of the SDL9K. Perfectly camouflaged into the interior of this room, all ends synchronized to the target. Faster than the reflexes of any given species. Saffron: S D what now? Agent Katticus: Super fast invisible space lasers. Blackmarket and highly illegal. 35 of them. Pointed right at us. Saffron: By super fast, do you mean faster that I can magic out of here? Agent Katticus: I’m afraid so. Smuggler: Put the egg down. I spent the ransom of a hundred planets to buy it and I don’t want to risk having it fried when my lasers annihilate you. Agent Katticus: So it was money Starbeard was after. Still, you can’t expect Starbeard to let you keep it. You really think that he would sell something as powerful as this to a rival ? Smuggler: He had no choice. Central Command froze all his assets and his crew was getting… apprehensive. Agent Katticus: So he has dissenters among his men? Perhaps dissenters who pointed him to you? Smuggler: That’s right, you’re going to die anyway so I should just discuss all my personal business with you. It’s not like your memory of me spilling my guts will be inherited by another agent, will it? KATTICUS ATTISON. Did you really think that would work? Agent Katticus: IT WORKS MORE OFTEN THAN YOU THINK. Listen, I’ve known Starbeard longer than you’ve been alive. I know that maybe he’s willing to leave you with a powerful weapon while it’s inert and powerless, but he certainly won’t let you live to see it hatch. Think man! Why would he want anyone in a position to challenge him? Central Command can offer you protection IF you come quietly. This is your last warning. Agent Katticus: Trust me. TWO. Do it now. O-AAAH. Pirate 1: Well, well, well, so this is where you’ve been stashing the egg. Pirate 2: We’ve been searching this entire planet looking for your little hidey hole. Pirate 3: Or do you prefer tongue to tentacles? Agent Katticus: Now! And All of us! Saffron: ALL OF US? Fine, but I’m leaving their guns behind. Detective Connis: AAAGH WHAT IS ALL THIS? Captain Adam: You are all under arrest. Crew, get these pirates into jail cells. Saffron: *Phew*. I hope you aliens have sugary desserts. Cuz I’m going to need about a truckload of them. Leckie: Captain! Incoming transmission from Starbeard. Agent Katticus: Put his crew in the camera frame. I want him to see this. Leckie, accept transmission. Saffron: Hang on a sec, I gotta check in with Peri. Leckie? Leckie: Contacting Peri. Connection Established. Peri: This is not Peri speaking. This is a recording of my voice. The actual me is too busy trying to save the very soul of this academy to come to the phone right now. If you need magic support, please contact one of my goblin assistants. If this is an emergency, and I mean you’re surrounded by lava with pterodactyls circling overhead and you just remembered you left your oven on, then please contact the Distress Department and they will contact me. If this is the Distress Department, please make sure it’s an actual emergency before contacting me and verify that it is indeed pterodactyls and not pterosaurs. Those are vegetarians! If this is Saffron,Tristan, or my mom, then please leave a message after the anguished cry of distress.